Does Peanut Oil Go Bad - Does It Go Bad? 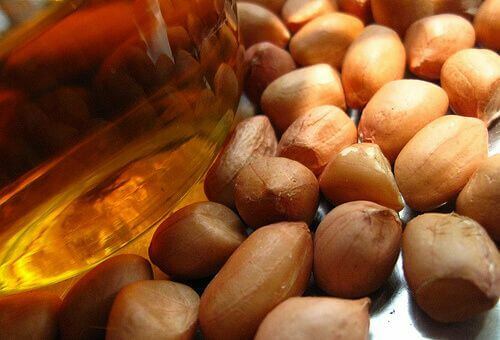 ‘Does peanut oil go bad?’ It is a question often asked by people who use this oil is for baking, cooking, and frying to give food a nutty flavor. Fortunately enough, the shelf life of peanut oil is similar to other oils, which means they last quite a long time. Let’s discuss storing peanut oil, its shelf life and how to tell if it has expired or gone rancid. Read on! You should store peanut oil the same way you store every other vegetable oil: in the pantry, closed tightly. While transferring it into the fridge after opening might extend its shelf life a bit, there’s no need to do that. If that bottle of oil you just opened should last for more than a year, and you have some space in the refrigerator, feel free to put it there. When it comes to storing used frying oil, don’t leave it in a deep fryer. Instead, you should pour it into a plastic or glass bottle once it cools down. Use a strainer to get rid of any food particles when doing that. Also, don’t pour used peanut oil into unused one. Generally speaking, you should discard fat used for deep frying after a few uses due to quality changes. Because of that, mixing the oils is a bad idea. Peanut oil, like other vegetable oils, has a “best by” or “use by” date on the label. That date indicates for how long should the oil remain at best quality. Of course, it doesn’t go bad or rancid overnight after that date. IYou can store it easily for months, or even years, after that date. The actual shelf life of your peanut oil depends on its quality and if it has been refined. Better oils last longer and refined tend to keep better. How long does peanut oil last once opened? When it comes to opened peanut oil, its shelf life is not reduced drastically. It lasts at least a year, possibly more. Just make sure the bottle is always closed and sits in the pantry. That’s enough to keep it fresh for a long time. Please note the dates above are approximate. Peanut oil can last a lot longer, but you might want to get rid of it for quality reasons. When you are using peanut oil to cook food in fryolators, it is best to only use the only three to four times. That’s because it tends to take on the flavors of the foods you cook in it and loses its quality after coming in contact with foods and being heated repeatedly. For example, you fill your fryolator with a gallon or two of peanut oil and the first night you heat it and use it for cooking up a batch of onion rings in it. That counts as one use. 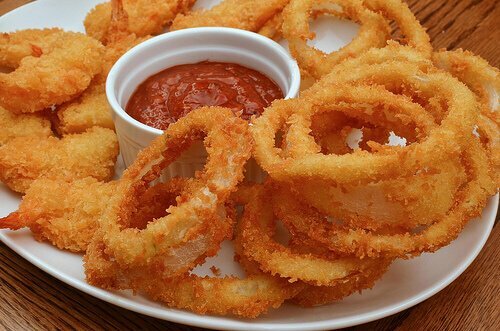 The next night you fry chicken wings in the same oil you fried the onion rings in, and that counts as two uses. After that you fry donuts for snacking in the same oil again, making it the third time you have used the oil. Then, you use the same oil a fourth time for frying corn fritters. After the fourth time, you should replace all the oil and start fresh to prevent getting a rancid tasting oil. Of course, it’s up to you to replace the oil or use it a few times more. It won’t go bad, but the quality will suffer and the fried food won’t be as good. If you plan on using the oil a bunch of times, make sure to choose refined peanut oil. It has a longer fry life than unrefined one. Please note that you should never fry food with a batch of peanut oil, wait a month in between, and use that same oil for frying more food later on. By the time you get to use the peanut oil again, it would have turned rancid. Therefore, if you are going to use peanut oil for frying, it is best to plan out a week where you are just going to make fried foods as a treat. How To Tell If Peanut Oil Is Bad? 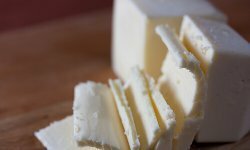 Catching early signs of spoilage is difficult for pretty much any food. The process of spoilage kicks in, but there aren’t any noticeable signs yet. When it comes to vegetable oils, they deteriorate slowly and aren’t dangerous to your health when they start to go bad. The worst case scenario is that you will fry some food in not-the-freshest peanut oil and the taste will be less than ideal. Oils usually don’t go bad in a way most food does. The texture doesn’t change and finding mold it a bottle of oil is nearly impossible. Oils, however, go rancid. You can catch rancid oil by its smell and taste. If it smells rancid, or the odor is unpleasant in any way, the oil is probably rancid and you should throw it out. Very slight changes of color are quite normal after using the oil, but if the oil has become much darker, get rid of it. If the smell is okay and the peanut oil looks fine, give it a taste. If there’s nothing wrong with the taste, feel free to use it. Otherwise, toss it out. If you’re not sure if it’s still good, it’s always better to get rid of it, just to be on the safe side. When it comes to used peanut oil, as already mentioned, you should discard it after using it a few times. The more times it’s used, the worse its quality. And frying in low-quality oil will produce food that’s okay at best. 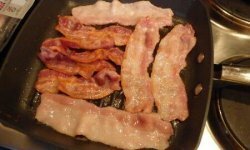 Can You Reuse Peanut Oil After Frying XYZ? There are a gazillion questions regarding reusing peanut oil on the Internet. People want to know if they can reuse it after frying turkey, chicken, or fish. Generally speaking, reusing the peanut oil is fine. There are a few things to keep in mind when it comes to reusing peanut oil. First, remove any food particles from the oil after frying. Second, frying causes the quality of oil to deteriorate, so after a few uses, the oil won’t be as good as it was to begin with. Third, oil tends to take some of the flavors of food fried in it. That means frying chicken after frying fish might not give you the best results. Remember what you used the oil for and consider how that taste might affect what you’re frying now.